Be the first to share your favorite memory, photo or story of Gusti. This memorial page is dedicated for family, friends and future generations to celebrate the life of their loved one. On the morning of March 30th, 2019 at exactly 11:45 am, a shining human light left us. Gusti Kollman was not a famous actress or politician or writer, she was simply a human being who emanated joy and love to whomever she encountered. Gusti was an example of what is sorely missing in our current day world. She saw the good in everyone and treated all humans, animals and even plants with the utmost re- spect. When you were in her presence, you were all that mattered. She had that effect on everyone, whether it was her children, grandchildren, great grandchildren, her friends, the workers at the crowded closet thrift store in Iowa City and to the countless aides and nurses who cared for her during her almost 20 year stay at Oaknoll Retirement Center. Gusti Kollman was born in Vienna, Austria on September 20th, 1912 to a Jewish shop keeper and his wife. 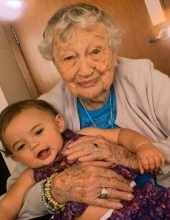 Her extraordinary life spanned two world wars, an escape from the Nazis in 1939 with her beloved husband, Eric, a beginning in Fairfield Iowa, a year in Iowa City, 56 years in Mount Vernon, Iowa and 19 years at Oaknoll Retirement Home in Iowa City. In Fairfield, Gusti taught soldiers German on their way to war. In 1941, she gave birth to her first child, Gerda Anne Kollman. Soon thereafter, Eric’s parents joined this young family. In 1944 while Eric was teaching in Iowa City, Peter Andrew Kollman was born. Shortly thereafter, the whole family moved to Mt. Vernon where Eric joined the History Department at Cornell College. At Cornell, Gusti taught Chemistry and Swimming until her third child Miriam Lou Kollman was born in 1949.
they managed to embed themselves deeply into this community. They did this by welcoming all people, regardless of race, class or creed. They gave a sense of belonging and therefore received it as well. As Gusti would often say, “we were given the gift of life when so many died, and we will not spend one minute putting hate into the world. It is only in seeing the good in others who are different that we can stop holocausts from happening”. Even though Eric died in 1981, Gusti who was only 68, continued to give generously of herself as she lived the next 18 years in Mt. Vernon. In 2000, Gusti moved to the Oaknoll Retirement Village. At first the adjustment was hard. But soon, just as she and Eric had done in Mt. Vernon, her loving gaze and sweet smile endeared many to her and she created a deep sense of belonging at Oaknoll as well. It was because of all the love that she poured out and was returned to her that she was able to live to 106 1/2. She thrived at Oaknoll as she had in every community she lived in by caring for others and receiving their care. It would be fitting in this obit that all the many nurses, aides, doctors and caregivers be mentioned, if only the space would allow. She would want everyone to know how beloved she felt in her final 18 years and how grateful she was to be here. She would often say in her later years in spite of losing the ability to walk and to hear, “I am already in paradise. I don’t need to die”. Her eyes would light up in wonder when she saw a person she knew, or an animal. Even the flowers received her constant state of wonder. We can imagine that the plants in her room that she so carefully tended, are mourning today too. She is survived by her daughters, Gerda and Miriam, both therapists. Her son Peter, one of three chemists who laid the foundation for the current immunotherapy, died in 2001 at the age of 56. In addition she has 6 grandchildren, and 12 great grandchildren with another on the way. When you imagine all the loses Gusti endured, her homeland, many of her friends, her parents, her brother and her sisters, her husband and her son, you would think she would be bitter and angry. But instead, she met every challenge with courage and an open heart. She died peacefully surrounded by the family that loved her so dearly. She left with just a whisper. She will be deeply missed. We can imagine her now bringing her loving countenance to wherever she has gone. There will be a celebration of life at Oaknoll Retirement Center in the Oak Dining Room on Tuesday, April 2, 2019 at 2:00 pm. All are welcome. Family committal services were held at the Mt. Vernon Cemetery. In lieu of flowers, memorials may be directed to the charity of your choice. Later this spring, the family will return to Iowa and hold another memorial service at Oaknoll, with the date to be announced. Again, all are welcome. "Email Address" would like to share the life celebration of Gusti Kollman. Click on the "link" to go to share a favorite memory or leave a condolence message for the family.